To me, the new 2016 MKX feels like a turning point for Lincoln, taking the brand to a place it hasn’t been for years. I’ve always thought Lincoln, at least recently, doesn’t fight hard enough at the top of the market where all the world’s great luxury vehicles struggle for dominance — that rarefied air where prices regularly top $70 grand. Yet here I am driving the all-new MKX for 2016, and it doesn’t just feel like it’s good for the money or good for an American luxury car. For the first time in a long time, it feels like a vehicle that I might actually buy over a top-of-the-line, extremely pricey BMW, Mercedes or Lexus. That’s a bold statement, but hear me out. 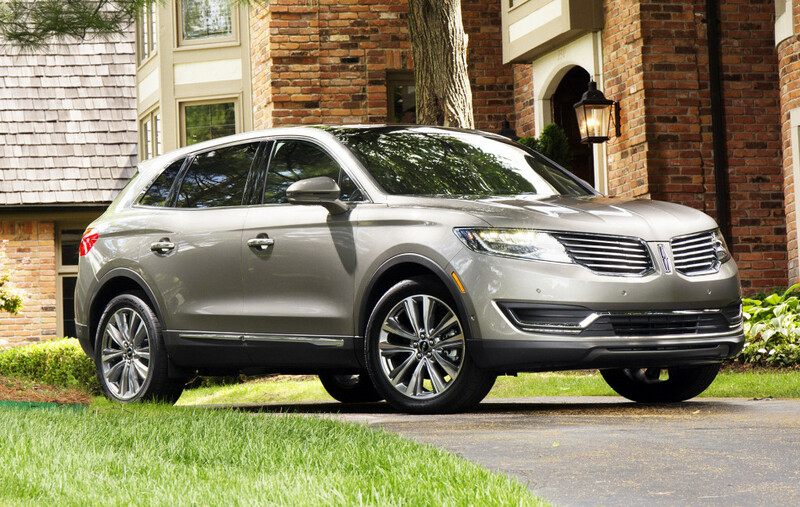 The Lincoln MKX has an all-new design for 2016 that makes it one of the softest riding, quietest vehicles you can buy at any price. It starts around $38,000, although our test car checked in at over $67,000 with the exclusive Black Label trim level. For one thing, this is the first time I’ve experienced one of Lincoln’s exclusive Black Label trim levels. It’s certainly not cheap, with an as-tested price that bumps uncomfortably close to $70,000, but it’s also spectacular. The super-supple material choices give it the look and feel of a very high-end vehicle, including an Alcantra headliner that makes you want to stroke your fingers on it all day. It offers the kind of design customization that high-end buyers want, including four striking color and material schemes that remind me of the equally stunning, yet much more expensive, Mercedes Designo line. It’s also got the most comfortable ride of any luxury SUV I’ve ever driven, including the Cadillac Escalade and the brand-new Lexus RX that just came out. I liked the ride of the Lincoln slightly better after I drove them all back to back last fall. Keep in mind that I’m the kind of person who likes an old-school, isolated luxury driving feel — soft, squishy and supple, like a sensory deprivation chamber. Some people don’t like that and would prefer a sportier, BMW-style ride. But for this kind of SUV, I’d pick soft and quiet over firm and sporty any day. Its seats are like La-Z-Boy recliners, all big and mushy, letting your body sink down into them as if they’re stuffed with cotton candy. My test car would even massage my back as I drove down the road. I was also impressed at the innovation and thought Lincoln is bringing to some of the small details. For example, remote start has become fairly common on upmarket cars, but Lincoln did a cool thing on the MKX’s key fob to make it even better. They put lights on it, so you don’t even have to peek out the window to see if your car starts. When you see the green light on your key fob, you know it’s started remotely without even seeing or hearing the car. I thought that was a great little detail that I hadn’t seen before now. Because this is an all-new generation of the MKX, there’s a long list of fun, new features to explore on your test drive. It’s got an available turbocharged engine that I thought was fantastic on my test car, delivering a wonderfully ample 335 horsepower and 380 pound-feet of torque at a cost of $2,000 on the price sheet. It’s a smallish, 2.7-liter V6 that delivers the oomph of a V8 thanks to the EcoBoost turbocharger. It’s also got lots of safety technology, a 360-degree camera to help when parking, and can even automatically steer itself into parallel or perpendicular parking spots. The spectacular MKX Black Label lets you adjust the color of ambient lighting in the cabin, letting you choose any shade on the spectrum from cool white to creepy red. Between the lighting and design choices, you can get the kind of customized cabin experience that used to be reserved for more expensive, high-end luxury cars. The only thing I’m not wild about with this redesign is the styling, which I’ll admit is totally subjective. At the same time, I’m glad the luxury crossover category is getting so much more polarizing lately. Crossovers used to be the most boring luxury cars to look at — the kinds of cars that wouldn’t turn heads on Rodeo Drive in a million years — but I like the fact that the fresh MKX and RX are both so “out there” from a styling perspective. They’re starting to make German luxury SUVs look boring and conservative in comparison. Pricing for the MKX starts at $38,260. It’s a dream car for road trips, with a soft, silent ride and spacious cabin. High-end trim levels offer features like massaging front seats and upscale materials that rival the world’s best luxury cars.